Two posts in a week???!? I know I’m trying to only post one article a week at the moment – but this painting is starting to look rather impressive so I thought I’d share it. So reads the inscription on one of the nine Commonwealth War Graves in the Lezennes Communal Cemetery, near Lille in France. It commemorates the flight engineer of LM475, one Kenneth Harold Tabor. But it was Mollie Smith’s superb archive of letters which revealed the first clue. 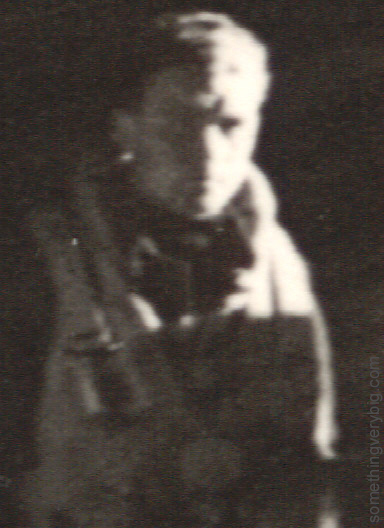 Wing Commander Bill Brill – the 467 Sqn Commanding Officer at the time of the Lille operation – wrote to Don Smith in September 1944 to advise contact details for the next-of-kin of the rest of Phil’s crew. A Mr J Tabor lived at 104 Castle Rd, Winton, Bournemouth, Brill wrote (A01-074-001). My first step, then, was suggested by my good friend Max Williams . He provided the addresses of four Tabors listed in the Oxford/Bournemouth phone book. I wrote letters to each… but of the four, one was no relation and the other three were all related to each other, but not to the Tabors I was searching. Call that a dead end. Steve on the Lancaster Archive Forum suggested doing a search on the FreeBMD website. This turned up a K H Tabor, born in 1924 in Christchurch, Bournemouth. His mother’s maiden name, the record said, was Lanham. This would have made Ken 20 at the time of his death – young, but certainly plausible. The trick, though, would be to try and match that record to the ‘right’ K H Tabor. I needed to go overseas to find the next clue. I had a few days at the end of my UK travels in June 2010 to spend at the British Library, intending to try and find what I could on the two remaining members of the crew. Sadly most of their electoral records were ‘in transit’ to another storage location when I visited so only selected records were available on microfilm. Luckily for me, this included parts of the Bournemouth rolls. I spent perhaps half an hour grappling with the microfilm machine before I came across what I was looking for. There, at 104 Castle Rd, Winton, were listed John Albert and Dorothy Violet Tabor. Ancestry.com was my next stop – which revealed a marriage record for a John A Tabor to a Dorothy Violet Lanham-Smith in 1919 in Christchurch. Further searching revealed more tidbits. John Tabor was born in 1894 in Poole, Dorset. He died in 1956 in Bournemouth. Dorothy was born in 1899, and died in 1978 in Poole, Dorset. A letter from Sydney Pate to Don Smith in November 1944 suggests that they also had a daughter. At the time of writing I have not yet managed to find the final link to living next of kin. The next step I think will be to obtain copies of the death certificates for Ken’s parents from the Bournemouth record office – which I’m hoping will allow me to find a newspaper death notice. My hope is that I can use that to find names for surviving next-of-kin… and the process then starts again. In 2004, Freda Hamer visited the cemetery in Lezennes. In front of Ken’s headstone when Freda arrived was a small bouquet of flowers. This is encouraging. To me, it seems certain that someone, somewhere, still remembers Ken Tabor. All I need to do is find that someone. Rollo was the nephew of perhaps the most famous of all Australian aviators, Sir Charles Kingsford-Smith. Far from hiding in the shadow of his famous uncle, Rollo had a distinguished career of his own in the Royal Australian Air Force. He was, in fact, the first Commanding Officer of 463 Squadron, which had been formed in November 1943 from ‘C Flight’ of 467 Squadron and was also based at Waddington. In 2003 Rollo lived in the village of Exeter, in the far south of the Southern Highlands of NSW, not too far away from where I grew up. I had discovered that he had flown – and in fact had a narrow escape – on the Lille raid of 10 May 1944 on which Jack Purcell and his crew were shot down, so I sent him an email. A few weeks later I was writing out my flying account, having completely forgotten about the email, when my telephone rang. It was Rollo, calling for a chat. The notes I found recently had been scribbled during this phone call. Rollo remembered Phil Smith as a man who “kept much to himself but seemed a pleasant chap”. This certainly bears out with Phil’s letters and with Dan Conway’s description of him as a “fine example of quiet efficiency” (C07-014-143). Phil Smith had passed away some nine months previously and, while I had been lucky enough to meet Phil a few years before his death, it was quite something to hear about him from someone who had known and served with him at Waddington. “we milled around for five minutes or so and that gave the German defences time to get organised”. As we now know, it was this delay – actually lasting 21 minutes (A04-056-002) and caused because the first markers on the target were quickly obscured by smoke – which contributed to the surprisingly high casualties on the Lille operation (C07-018-185). Rollo said that the bombing height for this raid was very low – only about 6,000 feet – which would also have raised the risks for the bombers by bringing them into the range of light flak. There was, he remembered, “intense” flak about though he could not remember seeing any fighters about. Given the target’s close proximity to a nightfighter airfield and the delay in marking the target this, with the background knowledge I now have, I find curious. I can only conclude that Rollo and his crew were lucky – certainly the possibility of a nightfighter attack rates fairly highly on my list of theories to explain what caused the loss of LM475. I never spoke directly to Rollo again. I had seen him at a Bomber Command Commemoration at the Australian War Memorial in Canberra, but never got the chance to have another chat. He died in 2009, but I consider myself honoured to have spoken even so briefly with such an amazing man. 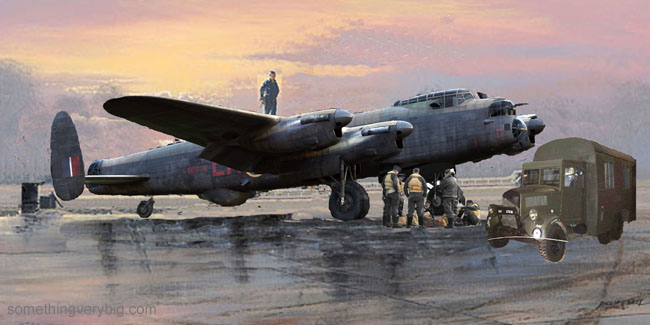 As explained in this post, I’ve engaged the services of a good friend of mine to paint me a picture of Lancaster LM475. I’ve decided to start an occasional series of posts dealing with ‘the process’ of how the painting develops over the next couple of months. So I bounced both of my ‘amendments’ to Steve to throw in to the mix. These were always intended to be very crude representations of an overall concept for the painting. Details like the bicycles and any other bits of the flotsam usually found near a dispersal haven’t arrived on-scene yet. But they can come later. Life in Bomber Command was a hazardous affair. Apart from the obvious – anything the Germans could throw at them – aircrew faced many other dangers in the long road to an operational squadron. 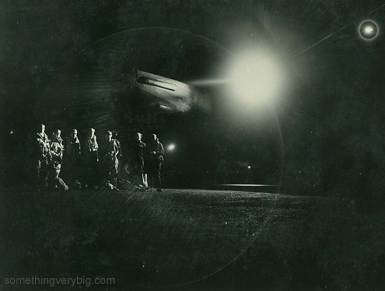 Out of more than 55,000 aircrew killed serving in Bomber Command, some 8,000 died in accidents. In the early 1940s, the aeroplane had existed for just four decades. Equipment was still primitive – especially compared with modern aircraft. Engine and other system failures were common, particularly when pushed beyond their design limits by the realities of wartime all-weather flying. Aircraft used at Operational Training Unit level – the unit at which airmen would ‘crew up’ and learn to fight – were often older, tired-out aircraft because the priority for the best equipment understandably lay with the operational squadrons themselves. All got out with only cuts and bruises. “Poor technique and lack of anticipation on the part of the instructor”. What happened to the instructor’s career subsequently is not recorded. Inexperience played a big role in air accidents. The pilot of the Tamworth accident that Phil saw was lucky enough to walk away – but sometimes aircrew were not that lucky. During Phil’s time at 21 OTU, Moreton-in-Marsh, between August and October 1941, he witnessed or heard about many incidents. At least four are recorded in his diary – ranging from less-serious accidents like a burst tyre in August to an aeroplane flying into a hill and killing all seven on board in early October. The cemetery on the road between the airfield and the town of Moreton-in-Marsh bears witness to the appalling loss of life both from this accident and, sadly, from many more just like it. In all 46 airmen from the OTU are buried there. In a similar way, just outside the site of the old RAF Lichfield airfield is Fradley Church. 35 airmen rest here – which, according to Chris Pointon (RAF Lichfield Association historian) are only casualties from the period prior to August 1943. To avoid taking over the church yard, he says, following that date burials took place at Chester Blacon, almost 100km to the north west of RAF Lichfield. – there are 35 more there. 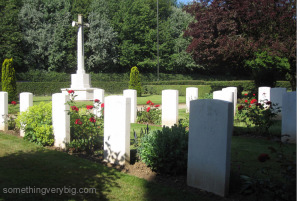 A further six casualties were buried at Oxford Botley, 100km south. Sgt Ashwood was buried in Margate, Kent – which was where his parents lived during the war. Phil received a negative endorsement in his logbook following this incident, the cause being called “faulty cockpit drill”, put down to “inexperience”. Perhaps the saddest epitaph of them all, however, is carved into one of the headstones in Moreton-in-Marsh and has nothing to do with aeroplanes. The Halifax – that ‘other’ aeroplane in Bomber Command’s arsenal – was badly maligned for much of WWII. Leo McKinstry, for example, in his recent book Lancaster: The Second World War’s Greatest Bomber, records Sir Arthur Harris trying to close down Halifax production lines in favour of the Lancaster. The earlier Halifaxes – Mk IIs in particular – were indeed pretty poor aeroplanes. Ron Houghton, a 102 Sqn Halifax skipper, spoke at the Royal Aeronautical Society’s Sydney Branch meeting in late August 2010. He described his first flight in a Halifax at a Heavy Conversion Unit in mid 1944. It was a B MkII series I, and was seriously underpowered and too slow for its purpose. The nose design, with a front turret, meant lots of drag. Half way down the 1100 yard runway on its take-off roll, with full power selected, the aircraft had barely reached 65 miles per hour. “I don’t like this”, Ron said to his instructor. “Keep going”, was the reply. 900 yards down and speed still barely above stall. “I really don’t like this”. Ron told us that the Mk IIs had a 99-foot wingspan and squared-off wingtips, designed like the unfortunate Short Stirling to fit inside the standard 100-foot-wide RAF hangar. This combined with the high drag from the front turret and the lack of enough power gave them a service ceiling of only around 12,000 feet – well inside range of German flak guns. They also had a nasty reputation of entering an unrecoverable spin if stalled with one engine out, caused by a faulty rudder design. No wonder, then, that Ron spoke of his delight at arriving at 102 Squadron at Pocklington to discover that the squadron had on that day received the first of their much-improved Halifax Mk IIIs. With no front turret, redesigned rudders, new slightly wider wings and vastly more powerful Bristol Hercules engines, the new generation ‘Hallybag’ had a 24,000’ ceiling and held much better survival prospects. They were still complicated machines however. Ron related the requirement for pilots who were converting onto the Halifax to be able to draw a diagram of its fuel system from memory – all 17 tanks and many, many taps and lines and switches. There was, Ron said, “an awful lot of juggling of fuel”. The fuel tanks themselves had an ingenious system by which nitrogen was added to each one as it emptied, thus vastly reducing the risk of an explosion should a bullet or shell pierce it. There was just one piece of armour plating that Ron could remember, placed like the Lancaster on the rear of the pilot’s seat. Ron mentioned crashed Halifaxes in Germany being recovered, restored and then flown into the bomber stream, crewed by Luftwaffe airmen, to follow and attack other bombers. This was I thought an interesting idea that I must admit I have not seen any documentary evidence of – if anyone is aware of this please get in touch! The most important question, however, concerned the relative merits of the Halifax vs the Lancaster. The Halifax reputation suffered considerably from the faults of the earlier variants, but by war’s end the Mk III was close to the Lancaster in performance, if not in bomb-carrying capacity. Having flown both Ron was in a good position to compare ‘which one was the better’, but ever the gentleman he is he would not be drawn into judging one way or the other, saying only that the two were “pretty equal”. So there we have it – a potted history of the Halifax, by someone who was there. Ron’s talk was fascinating. At its conclusion I got the chance to speak to him briefly and I will make sure to get in touch in the next little while to talk about it in more detail. Ron spent 35 years after the war flying for Qantas… and I’ll bet he has some stories to tell about that as well!